You don't have to be a domestic goddess to plan a spectacular event. 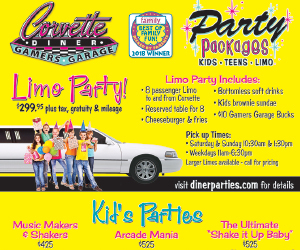 Revisit this page in June to view the latest, cutting edge Party Planner in which you'll find the best in family entertainment, party venues and more. & nbsp; We know you are busy parents who like to have fun celebrations of all kinds: a special birthday, a promotion, a school event and more. To make planning easier, we've created The . . .
Photo credit: Jill Nystul Celebrate this year’s FIFA World Cup with family, friends and neighbors. The World Cup, held every four years, is the holy grail of soccer. This year the games are in Russ . . .
With Dr. Seuss’s The Lorax coming to The Old Globe this summer, there’s no better time to host a Lorax-themed party! Inspired by the beloved children’s story and Pinterest, we created some DIY L . . . Simple birthday parties with a homemade cake, ice cream and a few friends is a thing of the past for today’s trendy kids. What’s hot for birthday parties is action and interaction. Parents . . . Creating a thank-you gift (party favor) with your kids teaches them appreciation and gratitude for guests that attend their party. Tired of the same old trinkets stuffed in a goodie bag? Get inspira . . .
Birthday party time! You’ve planned the games, chosen a cake and shopped for party favors. Then it comes—an RSVP from a classmate with an allergy. According to FARE (Food Allergy Research & . . . Does the thought of 10 kids sleeping over at your house all on the same night freak you out? Do you picture getting zero sleep because you have to deal with said kids all night long? Do you picture . . .
Here’s a quick and easy way to make your child’s birthday special: Send her to school (or camp) with a festive birthday lunch to help her celebrate! There’s no reason to spend a lot of money o . . . Host a baseball-themed birthday party for your little slugger—or celebrate opening day of baseball season or the start of summer with friends and neighbors. Here are six baseball-inspired ideas fr . . . I don’t know about you, but it seems like I’m always toting my kids to a birthday party. Buying all those gifts can be a real budget buster, and nobody wants to go into credit card debt trying t . . .
How to Throw a Great Birthday Party on a Budget You can’t get around birthdays—they come each year for all of us! And most children want to celebrate with a party every year. Parents want to cr . . .
Don't miss the Olympic Games—the premier multi-sporting event in the world! The 2018 Winter Olympics start February 9 in PyeongChang with athletes competing from more than 90 countries. Get into t . . .
How to Teach Your Kids to Write Thank You Notes In this day of instant messaging, texting and emails, the effort of sending a handwritten thank you note to someone communicates an important message . . . Tips to create a special celebration for a child whose birthday is on a holiday. For kids who have birthdays on Halloween, Easter, Christmas or Thanksgiving, there is often nothing more import . 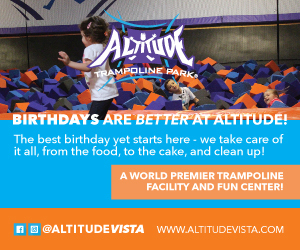 . .
How to Plan a Birthday Party While Going Green! Birthday Party Ideas. How to Plan a Birthday Party While Going Green! After attending a recent birthday party for my 6-year-old son’s friend, I came home wondering what kids learn about gar . . . If your child is nuts about dinosaurs, you might want to consider throwing a dinosaur theme birthday party this year. The dino theme party is a perfect for boys although you may find girls want in . . . Here is a fun party craft that the kids can make. The materials need to make these Coffee Filter Butterflies are: Wooden Clothes Pins Round Coffee F . . .
How to plan a simple party and be successful! Recently, I read about parents who spend thousands of dollars on their children’s birthday parties. Llamas, helicopter rides, visits from sports cele . . .
Moms are often stereotyped as being football-illiterate. First down? Red zone? Fullback? In the spirit of the Super Bowl (aka “Wife-on-Her-Own Day”), here are 16 football terms that have double- . . . Experience and tips from Food Network star and local mom, Melissa d’ArabianFood Network Star Melissa d’Arabian, will host her 24th mother-daughter tea party this year, so some would argue she’ . . .